Still in a sugar coma from last year? It’s time to SNAP OUT OF IT because the 2018 Brisbane Ice Cream Festival is back on March 10th! Located within the historic Peters Ice Cream Factory in up-and-coming precinct West Village, get ready to melt some hearts with the sweetest, creamiest spread Brisbane has ever seen. Building on last year’s sell out event, grab the fam and prepare to venture through a maze of gelato, ice cream sandwiches, pops, and old school ice cream vans. Hello nostalgia! We’ve begged for the scoop but it’s still on ice – so for now we’ve just got a cheeky sample of what’s to come. 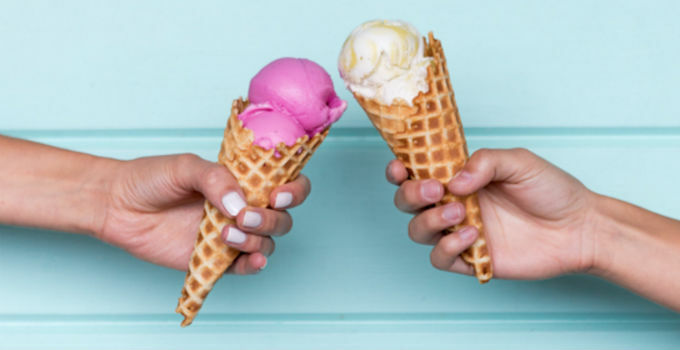 From traditional artisanal gelato from La Macelleria to wild, Stranger Things inspired creations from Ruby the Little Red Ice Cream Van – whether you’re all about classic vanilla or like to take a walk in the upside down, there’s a cup or cone with your name on it. They’re bringing out the big guns with spectacular creations from gelato royalty Gelato Messina, jaw-dropping Golden Gaytime dessert bao from Chop Chop Changs, and guilt-free goodies from Cocowhip. It’s not all brain freezes and sugar highs of course – there’ll also be live music, savoury food trucks and a pop-up bar when you need a break between scoops. Doors will open for three separate, timed sessions with free tickets available for entry at 11am-1pm, 1pm-3pm, or 3pm-5pm. Ticket registrations open at 10am on Tuesday 13th February but you’ll want to get in quick before they melt away! - the gourmand who believes we have two hands to eat double the ice cream.